The Diocese of Ootacamund, India, is being named in a federal lawsuit after a priest convicted of sexual abuse was reinstated to active ministry. Prosecutors say the Rev. Joseph Palanivel Jeyapaul assaulted a Minnesota girl multiple times in 2004 and 2005, starting when she was 14. Jeyapaul was a priest at the Blessed Sacrament Church in Greenbush, near the Canadian border, at the time. 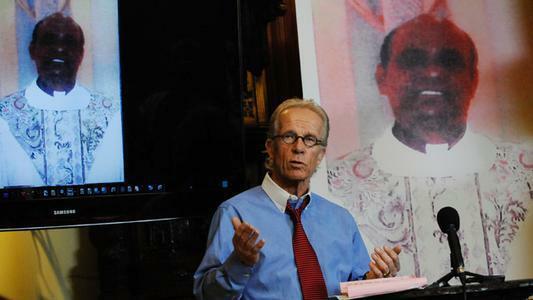 The attorney’s office says Jeyapaul fled to his native India in August 2005 and continued to serve as a priest. He was arrested in India by Interpol in 2012 and extradited to the U.S. in November 2014. At that time, an additional fourth-degree criminal sexual conduct charge was filed against him for an Aug. 15, 2005, incident at the Diocese of Crookston. Jeyapaul pleaded guilty to the fourth-degree charge on May 22, 2015, and was sentenced to one year in prison. The first-degree criminal sexual conduct charge was dismissed. A church spokesman in India said the suspension of Jeyapaul was lifted in January of this year after the bishop of the Ootacamund Diocese in southern India's Tamil Nadu state consulted with church authorities at the Vatican. On Tuesday, abuse survivor Megan Peterson will speak publicly about the lawsuit and the danger she says Jeyapaul poses to kids in India.